y case but this does not necessarily mean the client will be investigated by police, the Monetary Authority of Singapore said yesterday. The regulator said this in response to media queries after a Reuters report said that private banks here are handing police the names of clients who are embracing the Indonesian tax amnesty. MAS said that it has advised banks to encourage their clients to take advantage of tax-amnesty programmes to get their tax affairs in order. 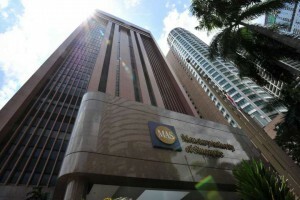 “Banks are required to adhere to the Financial Action Task Force standard of filing a suspicious transaction report when handling tax- amnesty cases, similar to the practice in other jurisdictions,” said an MAS spokesman. Indonesia started a tax-amnesty programme in July in a bid to retrieve some of the funds that its citizens may have stashed in private bank accounts around the world. “The moment the client tells you he’s participating in the amnesty, you have a suspicion that the assets with you are not compliant, and so, you have to report to the authorities,” a senior executive at a Singapore-based wealth manager was quoted as telling Reuters. However, the MAS emphasised that “participation in a tax-amnesty programme, in and of itself, would not attract criminal investigation in Singapore”. “The expectation for a suspicious transaction report to be filed on account of a client participating in a tax-amnesty programme should, therefore, not discourage clients from participation,” the spokesman said. A police investigation will start only when there are reasons to suspect that a criminal offence under Singapore laws has been committed, the spokesman added. The take-up rate for the amnesty has been slow.